Αυτό το άρθρο δεν μπορούσε να βρεθεί στο δρόμο μου μια πιό κατάλληλη στιγμή! Ακόμα δεν μπορώ να σας γράψω τί εννοώ (κάντε μου λίγο υπομονή)αλλα σίγουρα μπορώ να το μοιραστώ μαζί σας! We know the story of Snow White isn’t real, and that we should stop believing in Prince Charming. But, there are actually 7 parenting lessons we can learn from the original Snow White movie. 1. You’re the Queen, but it’s not about you. 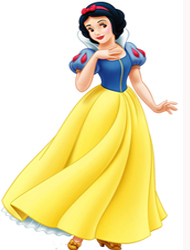 The Queen in Snow White was so wrapped up in herself (“Magic mirror on the wall, who’s the fairest of them all? ), that she never had a chance of having a good relationship with Snow White. The same holds true in the non-fantasy world. As moms, we should meet our own needs and be sure that we’re healthy so that we can care for our children and family, but if we are so preoccupied with our looks, our interests and our rights, our relationship with our children will suffer. 2. Every child is different. When Snow White took on the maternal role to the seven dwarfs, she came face-to-face with seven very different personalities. But like any good mother, she didn’t make them feel bad about who they were, and nurtured them accordingly. 3. Love is the best motivator. Parenting experts say that the best motivation for change is the positive kind. It’s the “catch your child doing something right” philosophy. Snow White took this approach with Grumpy. Instead of telling him how terrible his outlook was, she smothered him with love. Eventually, he returned that love. 4. Let your children dream. Snow White had some very harsh realities in her life. Her dream of finding Prince Charming helped her survive. As moms, we don’t want to perpetuate any unrealistic hopes in our children, but letting them have a dream, and then helping them try to achieve it, is good parenting. Dashing their dreams right out of the gate is not. 5. A joyful mom is a good leader. The dwarfs put up with a lot of change when Snow White arrived on the scene. She rearranged their house, she made them clean behind their ears, she made them eat regular meals. But they pretty much fell in line because she initiated all of these changes with joy. 6. Whistle while you work. Running a home and doing your mom duties can be drudgery, if you approach it that way. But attitude really is everything, so do like Snow White and whistle while you work. 7. We may never know how much our children love us. Snow White’s bite of the apple sent her into a magical sleep. That’s when we saw the dwarfs mourning her and we realized how much they loved her. In our own lives, we may not get those eulogizing moments, but rest assured that your children do appreciate all you do.